DAKOTA LIFE closes its 2013-2014 season with a look at the Fort Pierre Train Depot, a children’s book about stuttering and a look inside the annual All-State Jazz Band gathering. 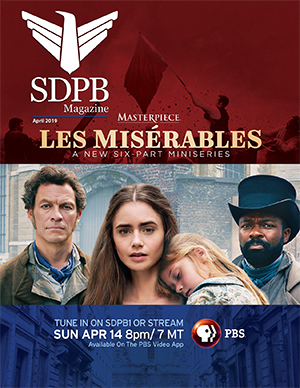 The SDPB Television features magazine for June will premiere on Thursday, June 12, at 8pm (7 MT), with an encore on Sunday, June 15 at 1pm (Noon MT). The show repeats throughout the month to allow views a chance to see it. All-State Jazz Band brings the state’s best high school jazz musicians together each year. A new life is in store for the original Fort Pierre Train Depot. A Rapid City leader writes a childrens' book about stuttering.